Fiberglass stair treads & stair tread covers from Direct Metals are lightweight, easy to install, and slip-resistant. Safety and durability are just two of the outstanding features that make fiberglass stair treads and stair tread covers preferred components for stairs and landings. Maximum pedestrian safety is provided by the anti-slip walking surface. There are many projects and applications for fiberglass stair treads & covers, such as amusement parks and water parks, outdoor stairways, restaurants, and chemical processing plants. Fiberglass stair nosings form a highly visible and durable edge at the primary point of contact on stairs and landings. 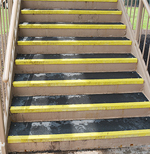 Fiberglass stair treads and stair tread covers provide a cost-effective slip resistant protective surface for concrete, metal and wood steps. Stair tread covers offer an excellent retro fit solution for older stairs. 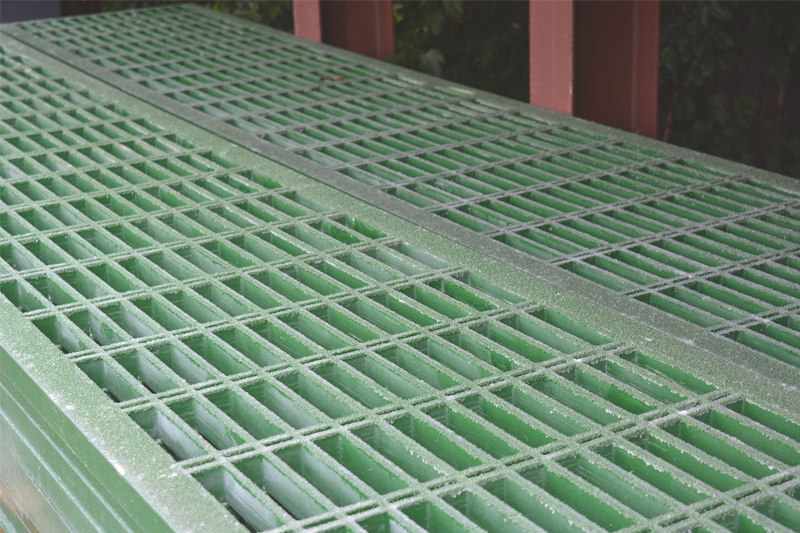 Fiberglass stair tread covers are made from a molded polyester mat that is corrosion and impact resistant, fire retardant and non-conductive. 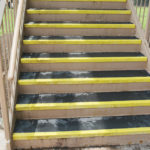 Fiberglass stair tread covers are black or dark gray with highly visible yellow nosings and are available in 9- and 10-inch widths by 12-foot lengths. Fiberglass stair treads come in 8-, 9-, 10-, 11- and 12-inch depths, with a standard thickness of 1/8 inch. Standard 12-foot panels are easily cut to size during installation or can be precut to custom lengths. 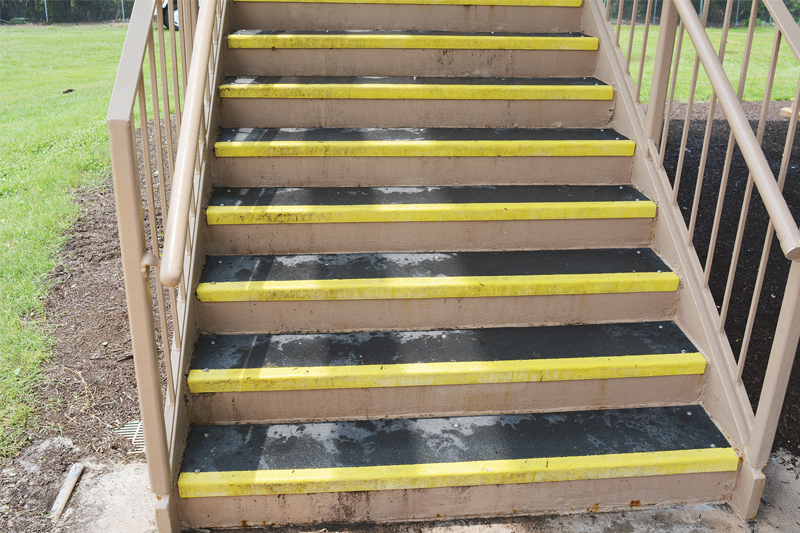 Fiberglass stair tread covers have a durable aluminum oxide grit surface, which increases the safety of stairways and protects exposed edges that are prone to chipping and cracking. Pultruded stair treads are lightweight and easy to install. Industrial grade fiberglass stair treads are available in 1-inch and 1-1/2-inch deep "I" bar structural profiles with a variable open area of 40%, 50% or 60%. 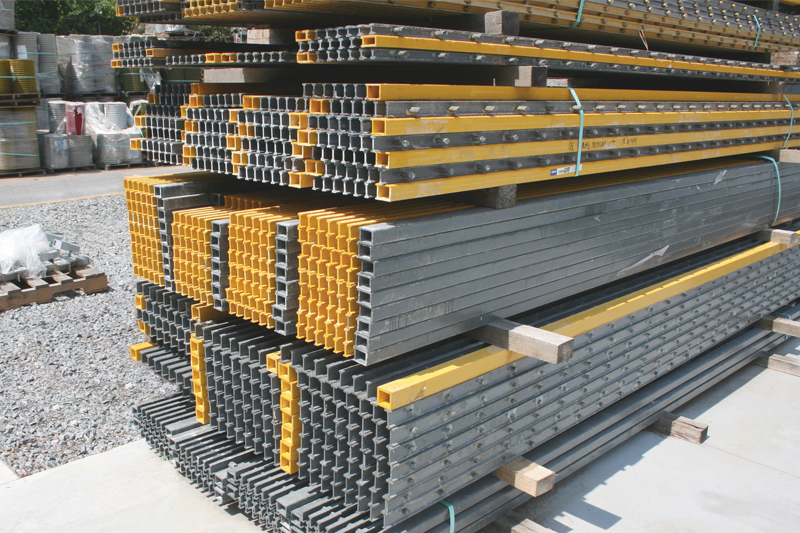 We also carry 2-inch deep "T" bar structural profiles with 33% or 50% open area. 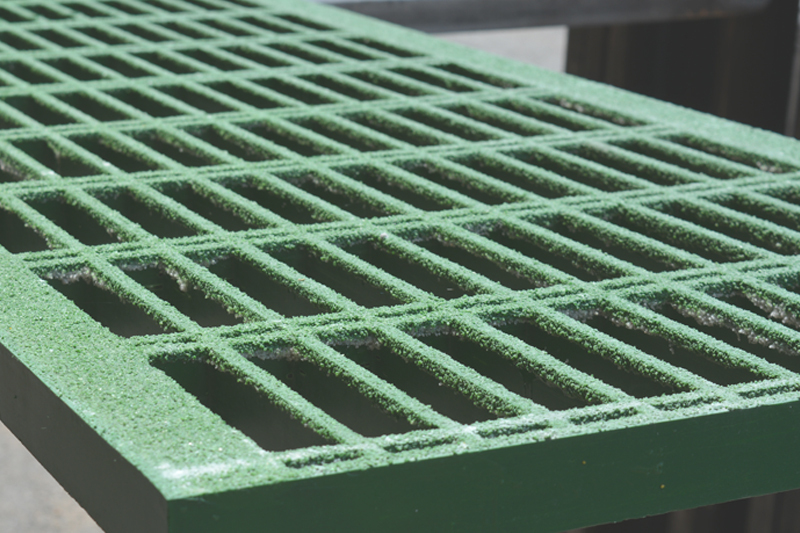 Pultruded stair treads have a nosing bar that is a different color than the grating part of the tread for higher safety and visibility. 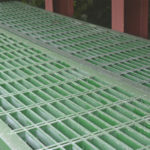 Molded fiberglass stair treads come 1-1/2" thick and have a 1/2" x 6" mesh pattern. 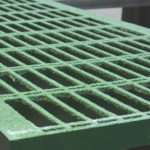 The nosing is molded into the panel and is the same color as the molded grating. 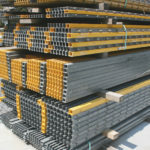 The standard panel sizes are 22-1/2" x 144" and can be cut to your custom sizes. Panels are available in IF2-25 and VFR-25 resins.